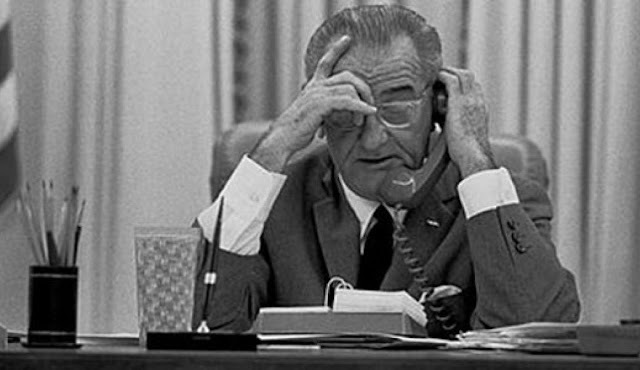 Fifty years separate us, now, from 1968 when the Lyndon Johnson’s failed presidency was coming to an end, with two disastrous legacies: the Vietnam War and the Great Society welfare statist agenda. Both reflected a common error and mistake, the belief that government planners have the knowledge, wisdom and ability to direct and redesign society. In the case of the Vietnam War is was the delusion that social engineers in Washington, D. C. could micro-manage a war ten thousand miles away and remake a country in the process. The other was LBJ’s domestic “wars” on poverty, illiteracy, housing, health care, and a plethora of others. The presumption here was that government could manage people’s lives to better effect than those people doing it themselves. What was not clearly stated to the people was anything the going does for you requires them to have the power to do many things to you. The United States government, and those who fill its hall of power and authority, regardless of which person and political party occupies the White House, continues to follow the same misguided presumptions that America can successfully play global policeman and that government knows better how the economic and social affairs of the citizenry should be arranged. That’s what you get for having such a predominately native-born population. People start thinking the place is some kind of commune.